Rhona, a yoga instructor committed to a vegan lifestyle, must entertain Leo, her red meat-loving, blue collar father-in-law, as she waits for her husband to join them for dinner. When Leo attempts to apologize for a past insult, he instead opens up a debate that challenges her belief system. Their conversation quickly escalates into a heated argument that scrutinizes animal cruelty, climate change, health, morality, and spirituality. 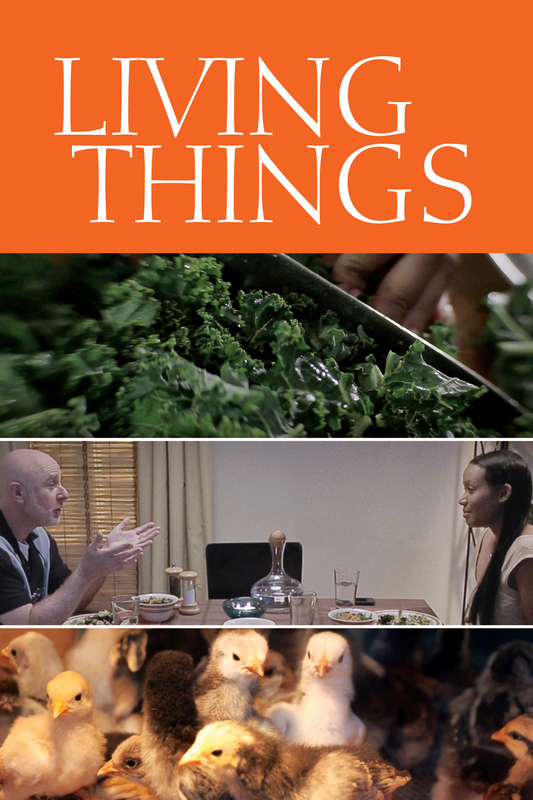 Endorsed by PETA (People for the Ethical Treatment of Animals) and reminiscent of the classic film My Dinner With Andre, Living Things presents a compelling dialogue about humanity and the benefits of a healthier, environmentally-conscious lifestyle.